StifsiM Gaming will now be rebranded to Misfits Academy. Misfits has picked up a new academy League of Legends team by acquiring stifsiM Gaming in the ESL UK Premiership. Players on Misfits’ professional League team are no strangers to the ESL Premier League in the UK. The team’s top laner Barney “Alphari” Morris and jungler Nubar “Maxlore” Sarafian were both a part of Team Infused in 2015—the team that won the Summer 2015 title. The new Misfits Academy roster includes Jordan “Shikari” Pointon, Mo “Afflict” Chinoune, Joran “Special” Scheffer, Lars “Chrisberg” Christiansen, and Tom “Prosfair” Wills. 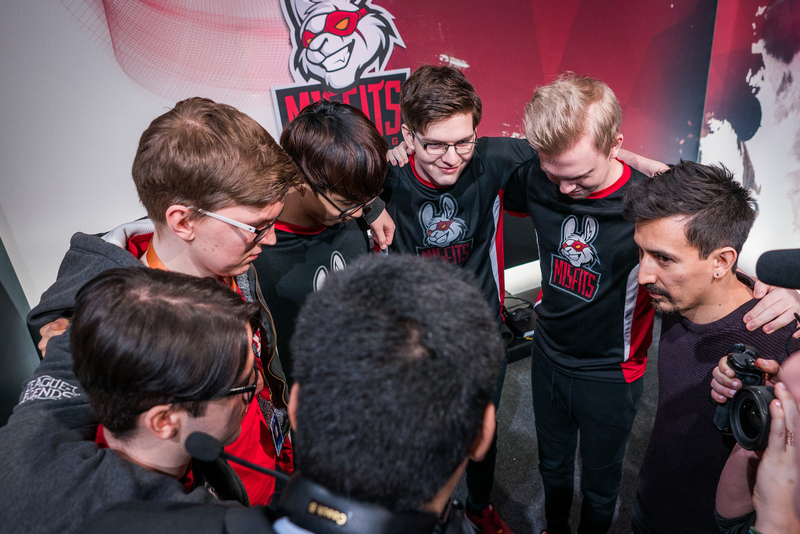 Misfits originally had an academy team in the 2017 EU Challenger Series. But once they gained promotion to the league in the EU CS Spring Split, the roster and their slot were bought by Mysterious Monkeys to compete in the 2017 Summer Split. They were relegated one season later, however, after finishing last in their group. Since then, the EU Challenger Series has been disbanded with a new regional league and European Cup set to replace it this October. Ten regional leagues will represent the new structure, including the ESL Premiership, which Misfits Academy is a part of.